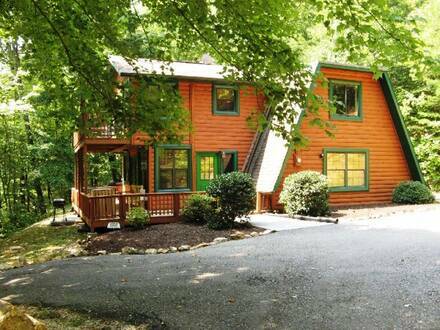 One of our most recently renovated cabins in Pigeon Forge, Dancing Bear Lodge is a charming chalet with luxurious features. 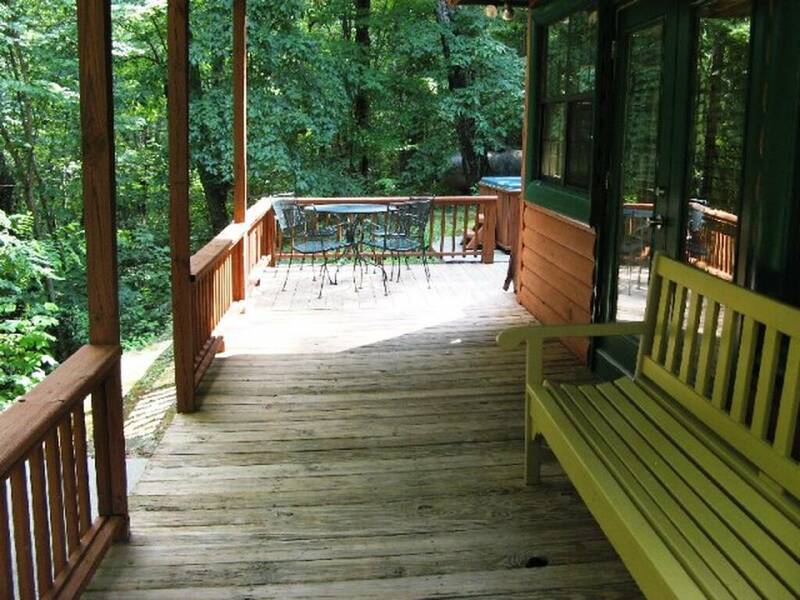 A great spot for a family vacation, the lodge is also one of our pet-friendly cabins in the Smokies. Its interior has light wood panelling that invites you inside and is decorated in an understated lodge style. It offers a large and fully equipped kitchen and dining area on the main floor, which also is host to an attractive dining room. Cozy up on one of the couches and watch the flickering flames in the stacked-stone fireplace or put something on the 46-inch HDTV with Blu-Ray player. Another 46-inch television awaits the occupants of the master suite upstairs. Featuring a king bed, this bedroom also has a private bath and its own balcony, so the two of you can sneak away amidst a family or group vacation. A second bedroom also has a king-sized bed, while the third sports a full bed. 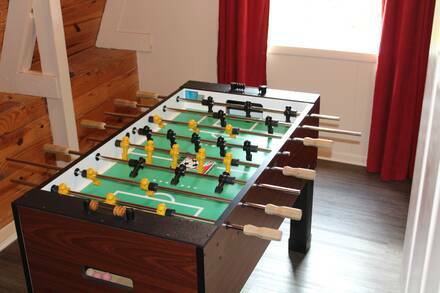 Relax in one of several spaces, including the game room with foosball table, darts, and a PlayStation 2 for the kids, with games galore. 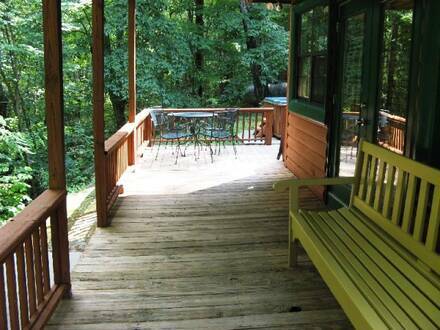 A covered deck outside boasts a porch swing and hot tub, refreshing in the heat of summer or the cool of a Smoky Mountain winter. 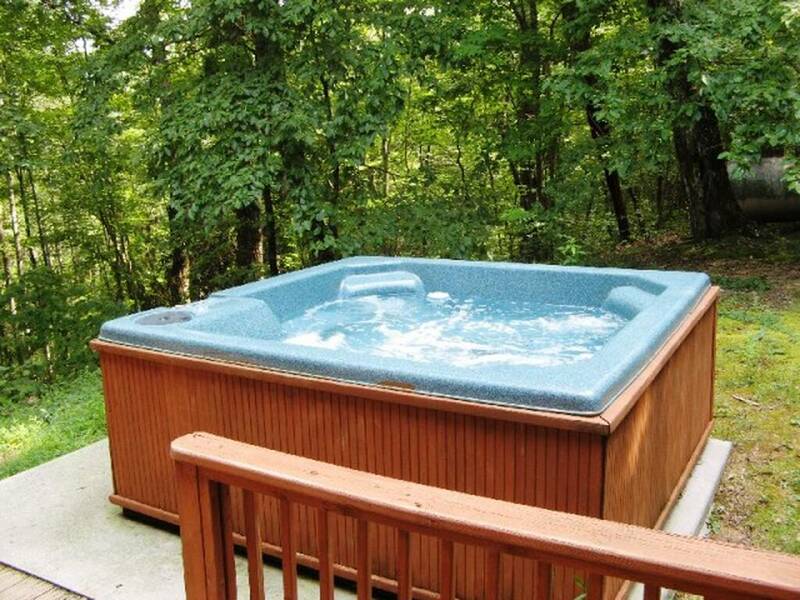 Plan a day trip to the Great Smoky Mountains or do some shopping at the outlet malls in Pigeon Forge, all within easy access of Dancing Bear Lodge, only minutes from the Parkway.